All year we’ve talked about how we are masterpieces to our Lord. We’ve strived to find our worth in Him, replacing lies satan whispers—sometimes yells—at us with the Truth of God. As we wrap up the year at Christmastime there’s one more lesson to be learned within the Christmas story itself. The story in its entirety is filled with moments of God using the ordinary to do the extraordinary. There’s so many people and moments to chose from that we can see ourselves in, but it’s the shepherds that are taking center stage today. Dirty, excluded, secluded, lowest of the low class; to say they were looked down upon is an understatement. They were considered ceremonially unclean and were unwelcome everywhere they went. In short, they were worthless. No one expected anything good from them. No one chose them for anything. And yet God chose them as the first to hear the birth announcement of His son. He saw past the dirt, grime, and mess of their lives to the heart of who they were. To their wonder and willingness to leave everything simply to follow Him. 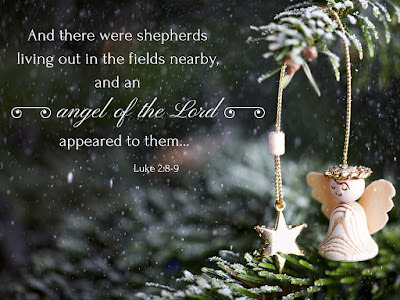 No one else on the planet believed shepherds worthy of their time or thoughts, but God looked at everyone on this earth and picked those shepherds to carry the most precious message of all time. The message that was for each one of us—even still today: the Savior had been born! In many people's eyes those shepherds were the last, but in God's, they were the first. God loves flipping things on end. He excels at picking the unlikely. And that's because He doesn't play by the rules of this world. He plays by His rules...and His rulebook is the only one that counts. Oh, friend, too often we can’t even see past our own mess to believe God can choose us. But here’s the thing…not only can He…He already has. Your value shines beneath any mess trying to cover it, and God not only sees it, but He loves you through it, and He has a purpose and a plan for you. Stop believing what the world says about you and start listening to the One who made you. Let this Christmas season begin a new season in your life. It will be the best Christmas gift you’ve ever received. Lord, today let me see your Christmas story in a new light. Help me to understand that you can use anyone with a willing heart. Open my ears to hear you. Open my heart to believe you. Open my eyes to see myself as you see me, and give me your strength to follow the purpose and plan you created for me when you created me. Let this not only be the Christmas season, but a new season in my life. Amen.